Wow, just wow ! 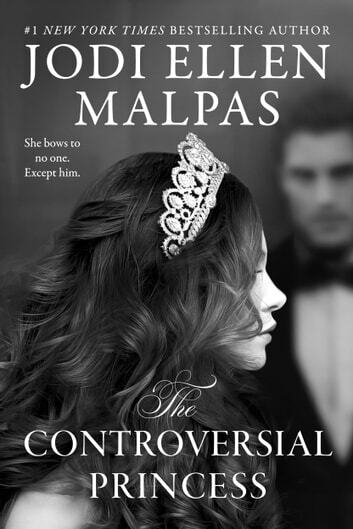 The Controversial Princess by Jodi Ellen Malpas is the first book in the Smoke and Mirrors Duet. This book was highly anticipated by me and I couldn´t wait to get my hands on it. There are only a couple of authors I can rely on to write stories that speak to me every single time. And Jodi Ellen Malpas is one of them. I still remember reading the This Man Series and how I was blown away. I was sucked in and instantly a fan of the author’s writing. That was the beginning, I haven’t regretted it once. The Forbidden is one of my absolute all time favorite reads and near to my heart. With The Controversial Princess J.M. Malpas wrote a story that spoke to me in more ways than I can count. Meet Adeline Lockhart. She´s a 30 year old princess, groomed to represent kingdom and country. Deep inside she´s a free spirit, but heritage and fate keep her trapped in a golden cage, restricted by rules. The Controversial Princess is a story full of twists and unexpected turns. I was captivated from chapter one. I started reading and I couldn´t put the book down. And now I´m sitting here with a major book hangover and don´t know what to do. I was so deep in with the characters and I connected so easily with them. I´m a sucker for royal stories and The Controversial Princess fits right in. When that works for you too – you better one click this book. The Controversial Princess was fantastic from beginning to end, a romantic, enchanting and at the same time raw and gritty story. A story that needs to be read. I highly recommend The Controversial Princess and can´t wait for the second book, His True Queen. The first book I’ve read of Jodi was “my man” trilogy! I fell in LOVE with her writing and I can tell you that I fell even more in love with her writing. I CAN’t wait till the next book! I’m hooked! Excellent! Like all her other books before this, Jodi Ellen Malpas does not disappoint. Beautifully written. Wonderful characters. Can't wait for the next one.  That’s right, The Controversial Princess gets the 10 crown rating. That being said....this was my first book by Ms. Malpas and what a first one to start with!!! Right out of the gate, the intensity and attraction between Adeline and Josh was hot!!!! The Hotness did not stop through the entire book.....I mean, the entire book!!!! Josh’s “control” and “dominance” was, well, pretty HOT in itself and a major turn on. Adeline’s presence and self “knowledge” was a breath of fresh air!!! I loved how she knew what she wanted and she was going to get it, no matter what!! Now, the cliffy.....can I just say HOLY H*LL!!!! How am I going to wait for the release of His True Queen???? Ms. Malpas has a new and loyal fan right here! Reviewed by: Dana D.